Check it. 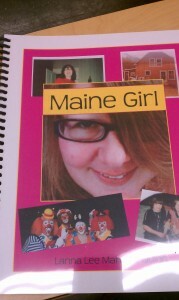 Here is the Final Portfolio I handed in for my Memoir class. Original name, huh? I know, I know, most of the other women in the class could’ve used the same title. But you know, when it gets to be close to the time you need to leave for class, and all you need is the title, you invariably use the first one that comes to mind. 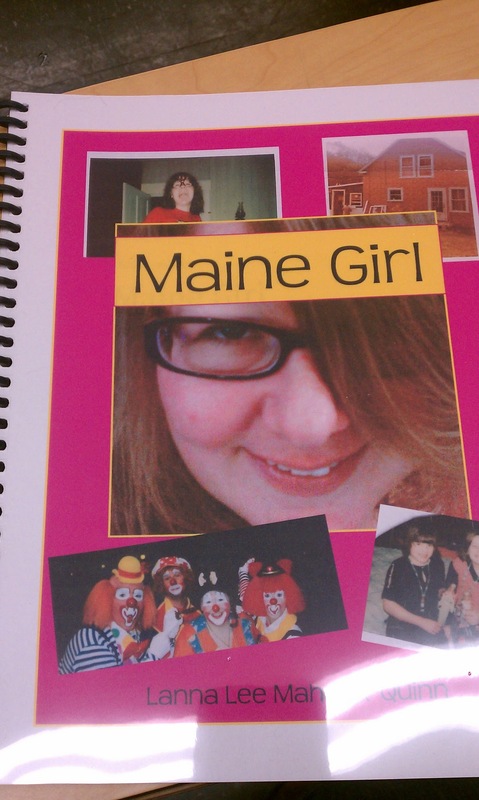 I wrote memoir, it was mostly about me and living in Maine, hence Maine Girl. After class a few classmates and I went to the Great Lost Bear. My especially lame blag post about that is here. I used my cell phone to post it, but I was having so much fun laughing and joking with my classmates, I forgot I was going to do a post, and ended up publishing it at the last minute. All 1.25 sentences of it. 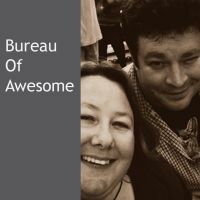 So my continuous blog/blag posting is maintained, yay. I needed to drive home, so I ordered a 5 ounce Guinness. About half-way through that, I ordered another 5 ounce Guinness. So partay. 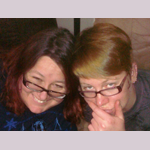 It’s all good, because we laughed and talked for two hours. I’ll miss seeing these guys every week. Maybe I’ll see some of them online. I am connected with a couple of my classmates on Facebook, and I gave everyone my card – so the ball is in their court. One thing that is great about things nowadays is that it is more likely that we can keep a thread of connection through these social networks. As long as we all keep a modicum of activity on our accounts. And here it is. I am very close to being totally done. Only one more hurdle to jump before I attain my degree – my Probability and Statistics Final. This final will be a take home. It will be released online at 5 p.m. on Saturday night, and I will have until 5 p.m. Monday night to complete it. I can email my results or drive it onto campus. Two days is plenty of time, right? Keep this in mind: I worked for four days on my second exam, Friday, Saturday, Sunday and Monday, and I still wasn’t able to answer all the questions. My grade this test was an 85. This was with an extra 5 points (for a scale). That means I got an 80 on a test that I worked on for four days. The final exam is worth 35 percent of my final grade, and could make or break me. Well, that’s not exactly true. Right now, based on my past performance, as long as I hand in my test, I am assured I will pass this class with at least a D. If I get a 50 on my final, I’ll get a C, if I get over 65, I’ll at least get a B. In order to get an A, however, as my work stands right now, I’d need to get at least a 93 on my Stats final – a long shot, at best. This is because I did not hand in one of my homework assignments on time. That said, I snuck a copy of said homework into the homework pile on Monday. I am crossing my fingers that he’ll give me credit for it. I figured it was worth a shot, anyway. So I may not get an A in my Stats class, but I am likely to get a B and am pretty sure to pass. So go me! And this is the crazy kind of stuff I obsess about. Which is pretty funny when you consider that the first time I went to college, I left with a 1.37 GPA – [2.0 is a C average, for those not in the know.] Just think of my poor husband and coworkers who all have to listen to me while I obsess. I wish I had something more clever to say. But I don’t. I guess we can save clever for AFTER my final. Do you know anything about Statistics or Probability? Moment Generating Functions? The Big F and the little f? If yes, can I use you as my lifeline?